Presented with generous funding from NNLM: National Network of Libraries of Medicine, MidContinental Region. Please join your SLML and SLA colleagues, as we hear Cynthia Bassett talk about Imposter Syndrome – what is it? do I have it? how do I deal with it. Talk to any smart and successful professional and you'll hear the same story—Impostor Syndrome. First defined in the 1970s by psychologists Imes and Clance, Impostor Syndrome is that feeling of anxiety that you really don't know what you are doing, you only got where you are by luck, and everyone will soon find out that you are a fraud. Sound familiar? These are feelings that live and thrive in the darkness. This program will seek to throw some light on them. We will discuss what Impostor Syndrome is and provide some tools for managing it, either for yourself or someone you manage or mentor. Cynthia Bassett is the Electronic Services Librarian at the University of Missouri Law School Library. She wears many different hats in her day-to-day work, including legal research instructor, digital repository manager, and social media manager. She recently added 'law student' to the mix and is officially a 2L. She has served as President of Mid-America Association of Law Libraries, a 9-state chapter of the American Association of Law Libraries and as Chair of AALL Computing Services Special Interest Section (but probably only because she talks a good game). 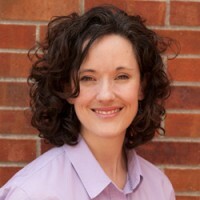 During this time, we'll hear a welcome from Christina Pryor, Library Engagement & Missouri Coordinator for the NNLM. She will also share some upcoming funding opportunities! There will be a group going out for pay-your-own Happy Hour after the presentation – all are welcome! This program is free and open to SLML and SLA members; however, seating is limited, so we do need RSVPs.